Moleskin Medfix Roll by Medline Canada is designed to prevent chafing, corns and blisters. 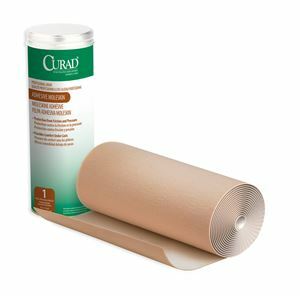 This rolls has a cotton-like backing on a adhesive that keeps the skin away from irritation. Available in 9" x 4 yards.